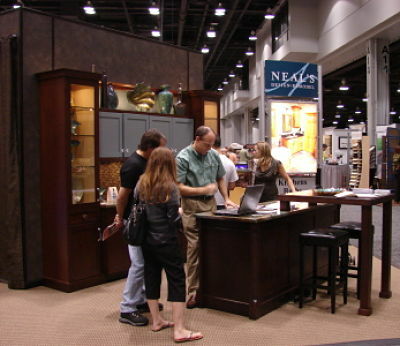 Every year those of us at Neal’s get excited as we prepare for the Greater Cincinnati Kitchen, Bath and Remodeling Show. 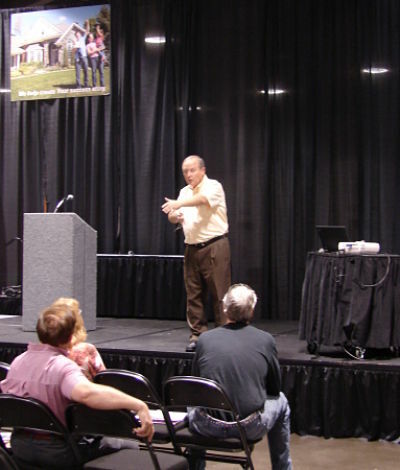 It’s a great way to meet people who are thinking about home remodeling projects and it gives us an opportunity to showcase and present the latest trends in home design. Please stop by and see us at Booth #113. Our project consultants will be available to speak with you about your home remodeling projects. We will also be displaying some of the latest styles, designs and products we’re using in our customers’ homes. And, plan to attend one or both of our seminars (see details below). The show will be held at the Duke Energy Convention Center located at 525 Elm St. in Downtown Cincinnati. Admission is $8.00 for Adults and free for children 13 and under. Friday, September 28th - 12:00 p.m. - 8:00 p.m.
Saturday, September 29th - 10:00 a.m. - 8:00 p.m.
Sunday, September 30th - 10:00 a.m. - 5:00 p.m.
Saturday, Sept. 29th 6:00 p.m.
Sunday, Sept. 30th 4:00 p.m.
Other News from Neal’s: We learned that “Cincy Magazine” readers have nominated us as one of “The Best of the North” finalists in the category Best Home Remodeler in Northern Cincinnati. Winners will be named at the “Best of the North” event on Thursday, October 4th. The event will be held at the Manor House from 5:30 p.m. to 8:30 p.m. and those attending will receive a ballot to vote for the nominees in each category. Tickets are $20.00. We hope to see you there!